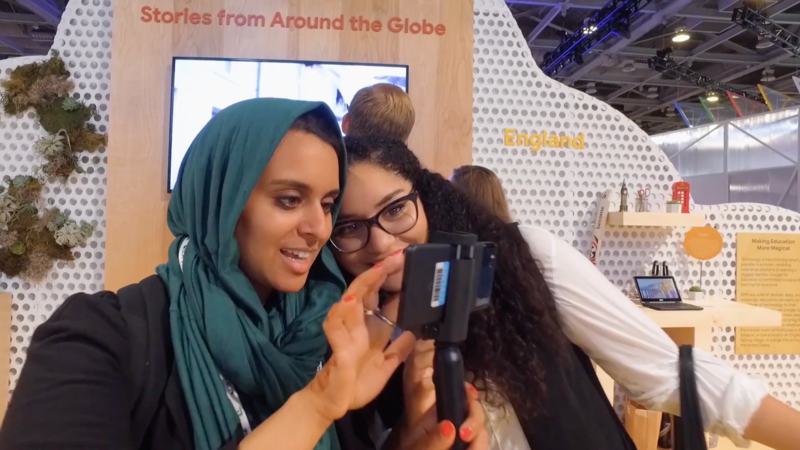 Caruso Company was approached by the Google Cloud team to produce three film titles to be shown at their 2018 NEXT event held at Moscone Center in San Francisco and a fourth title to promote the event for 2019 attendees. The first keynote film tells the story of a large enterprise making the journey away from an older legacy system to the Google Cloud platform. The success of Colgate’s implementation of G Suite for their 28,000 Employees was a perfect fit. The partnership with Colgate, SADA Systems and Google Cloud resulted in an inspired success story. Our second keynote title featured the partnership with Google Cloud and Media giant Bloomberg. Bloomberg has a global audience in 170 countries speaking over 40 languages. News breaks in local languages, so the task of aggregating thousands of sources and making them available in a language their audience can understand is critical. Caruso Co. filmed Bloomberg executives on site at their NYC offices to recount a seamless integration of Google Translate into their platform. As a third title Caruso was asked to capture key partnership stories to share at the NEXT 2018 Partnership Summit. We proposed a casual conversation with Rackspace, Looker, Maven Wave, Phonexa, Spiraledge and Deloitte all of whom participated in an informal sit-down to recount how they’ve helped each other to navigate the cloud ecosystem. For our fourth NEXT title (cc) documented the 2018 NEXT event itself. Over 3 days our team of filmmakers worked closely with Google to capture the diversity and excitement of this amazing gathering. Our 2:00 minute sizzle film will be used to promote NEXT 2019. Thanks again to our Google collaborators, (cc) producers and incredible NYC and S.F. crews for their stellar work.